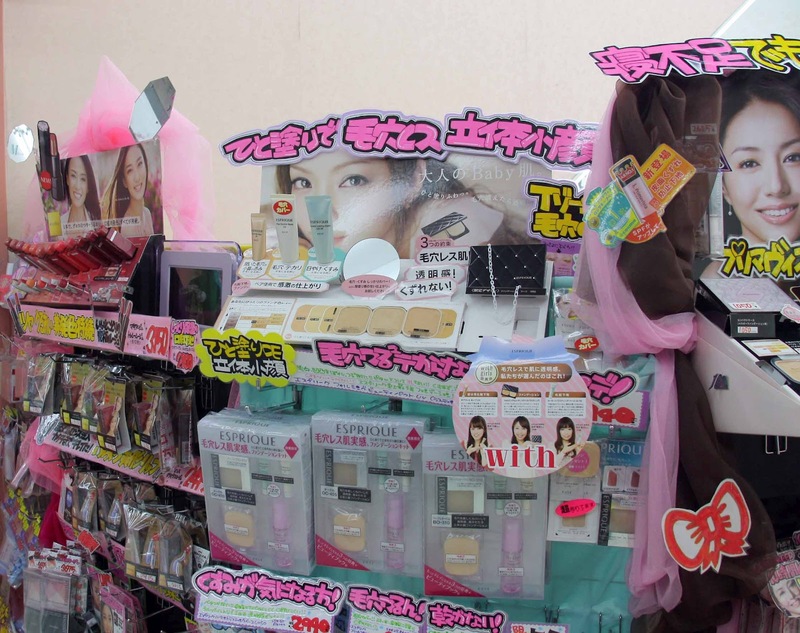 Oh my!!! I am back in Manila! 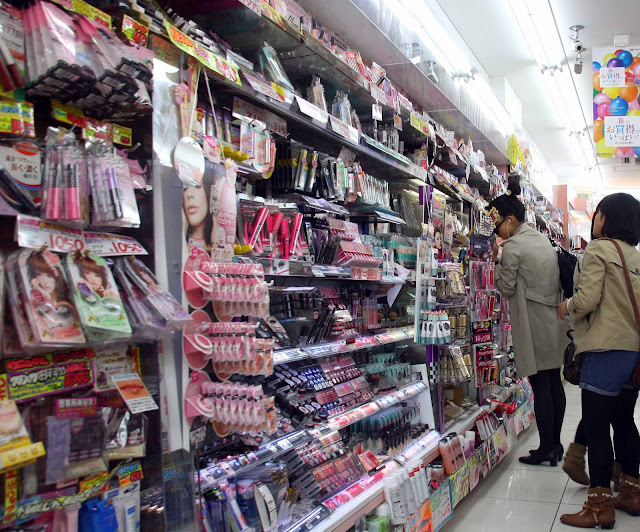 Let me tell you exactly how I'm feeling right now --- I am missing Japan so much! I now understand why people who went to Japan have always been telling me how much they would want to go back! There is something about the country, the people, the place itself that made me left a piece of my heart in just a week's vacation! I am missing the random Japanese people who helped us with directions even though they have limited to almost no English, I missed the Hotel Staffs at Dormy Inn Hotel, Asakusa branch who even asked me to take out some coffee or milk on my way to the airport, I missed the super friendly staffs of convenience stores who helped us pick the right coins when we were still confused with all the coins we have on our hands! 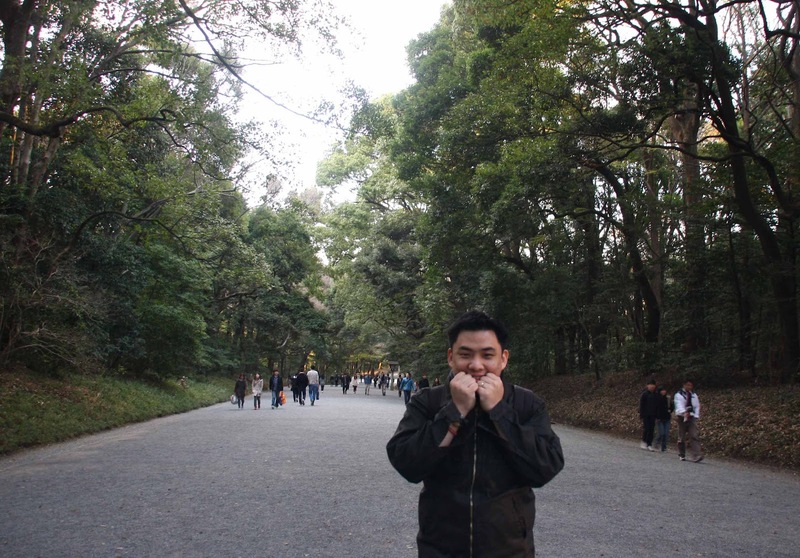 Before I tear up, let me continue my Japan Report, I hope you guys enjoy reading as much as I enjoyed writing about it! After DisneySea, I met up with a colleague for quick "sushi" lunch at Akasaka Mitsuke area (more details about this soon on Weekend Food Tripping Report). 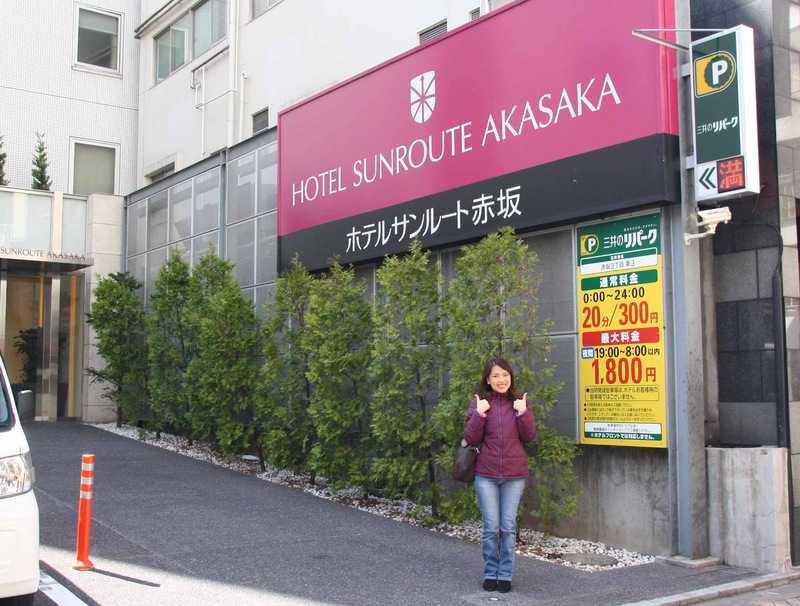 Akasaka Mitsuke is no stranger to me because we originally planned to book our hotel in this area specifically at Hotel Sunroute Akasaka which was recommended by Mr. AMW's Colleague and I've read good reviews at the Agoda website as well. Check it out, we walked pass the hotel just to have a look and report to whoever plans to stay in this hotel that the location is very convenient as well! 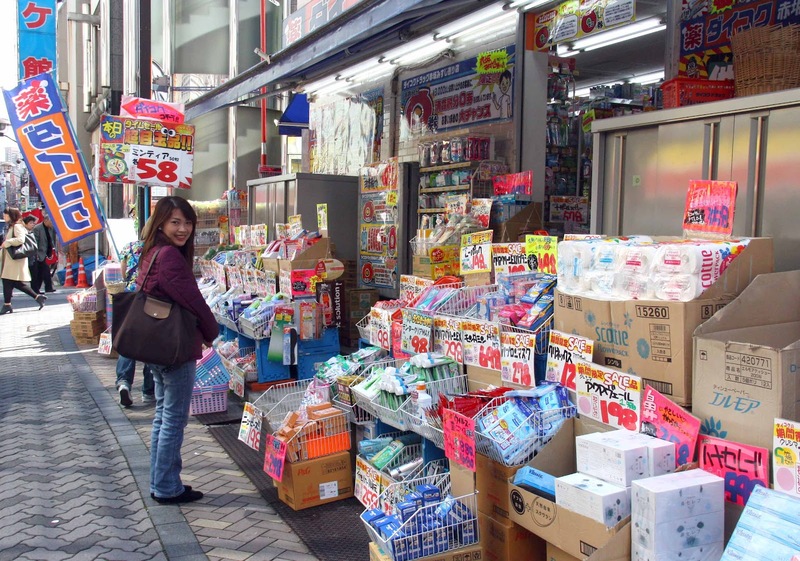 Right beside the hotel, you'll see a nice convenience store that sells a lot of "bundled items" in lesser amount! 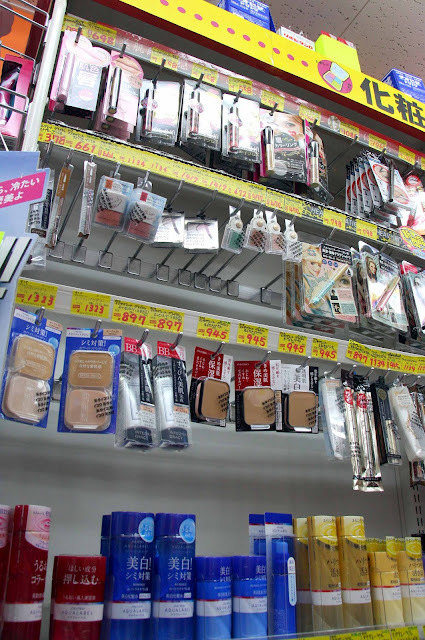 This is the area where I find prices to be (surprisingly) cheaper considering its location! 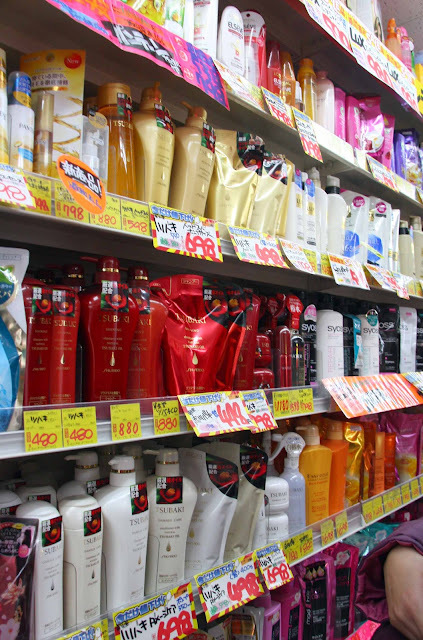 I nearly died when I saw Shiseido's Tsubaki Shampoo and Conditioner huge pump sized bottle each priced around JPY500.00-JPY700.00 (approx Php250.00-Php350.00) VERY INEXPENSIVE indeed! Here's the famous five-way crossing and trust me when I say it never looked bare! It's either this, or even more crowded!!! 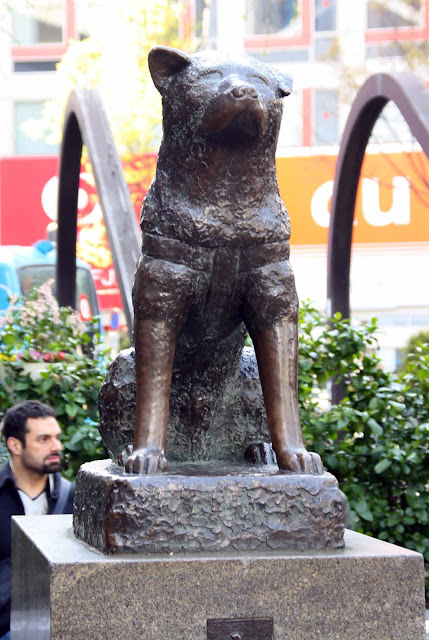 Before I move further to shopping and other places to visit, when you get off the Shibuya Station, YOU HAVE to look for Hachiko, I told myself I have to take a photo of a statue of this loyal dog. 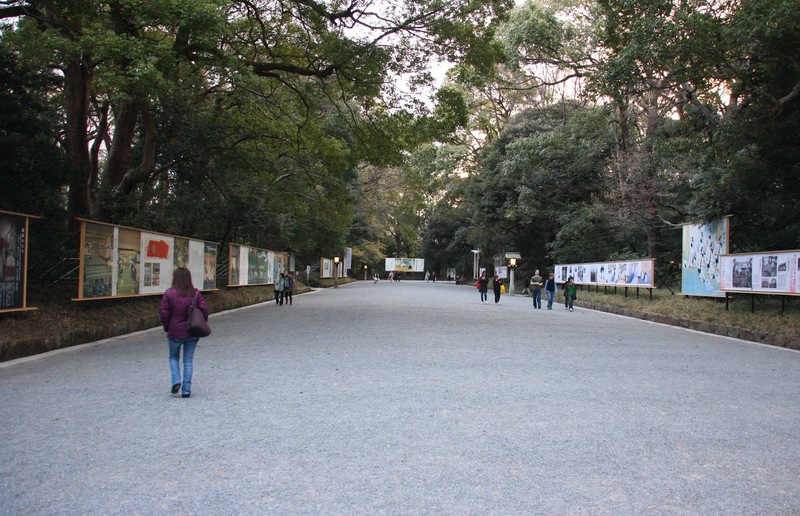 Professor Ueno took Hachiko, a golden brown Akita dog during 1924. Hachiko greeted him at the end of each day at the nearby Shibuya Station, this was continued for a year until one day, Professor Ueno suffered from cerebral hemorrhage and died. Loyal Hachiko, everyday for the next 9 years (or until the day he died) waited at the Shibuya Station. 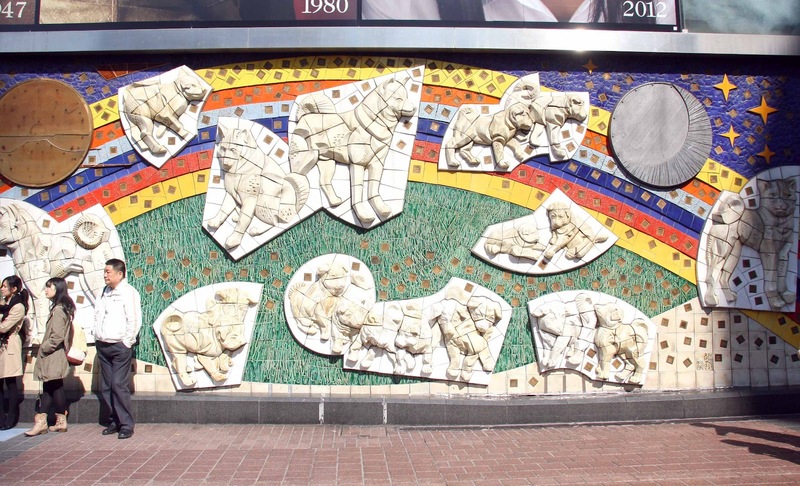 Here's the mural to show Hachiko as a celebrity and a great example of loyalty. 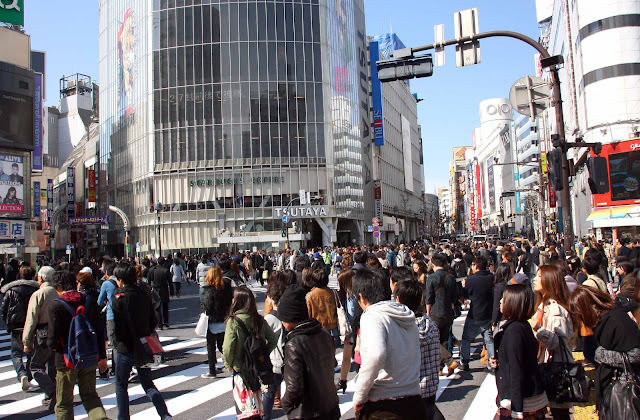 A statue of Hachiko were people are taking photos of him even until this very day! 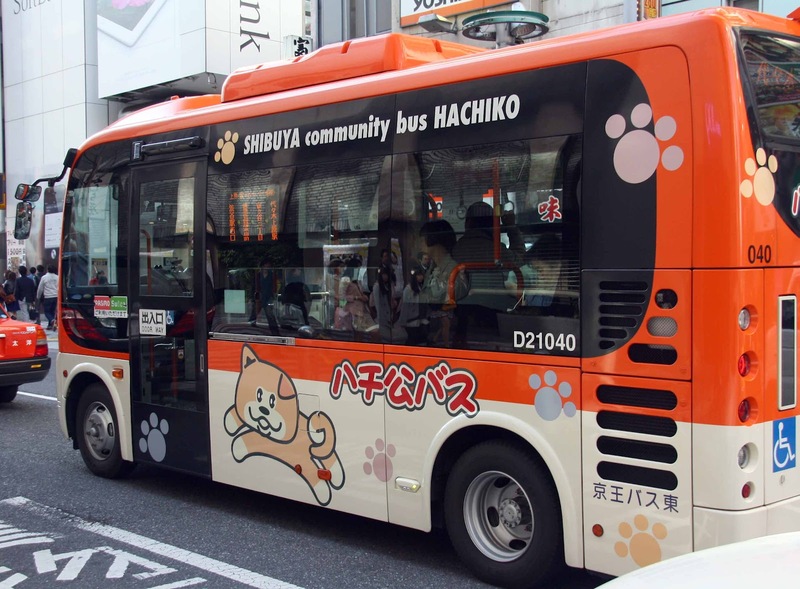 You can see his "cartoon" version even on public buses! 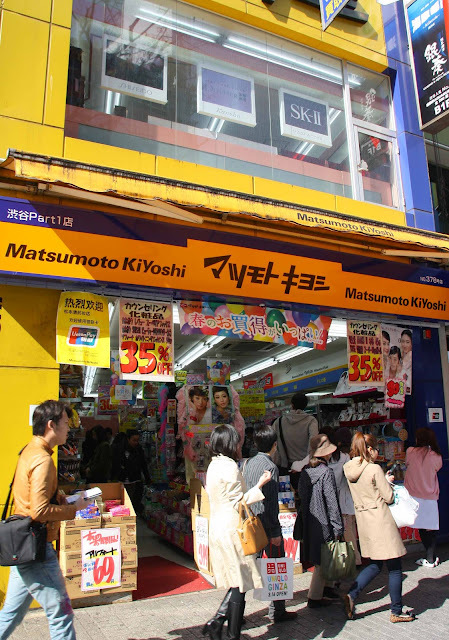 Now let's get back to Shibuya, you can see the famous drugstore chain Matsumoto KiYoshi almost everywhere across Tokyo. Aside from the famous chain, you see random, tiny-looking stores on the outside but once you get in, you would be surprise on how big they could get! 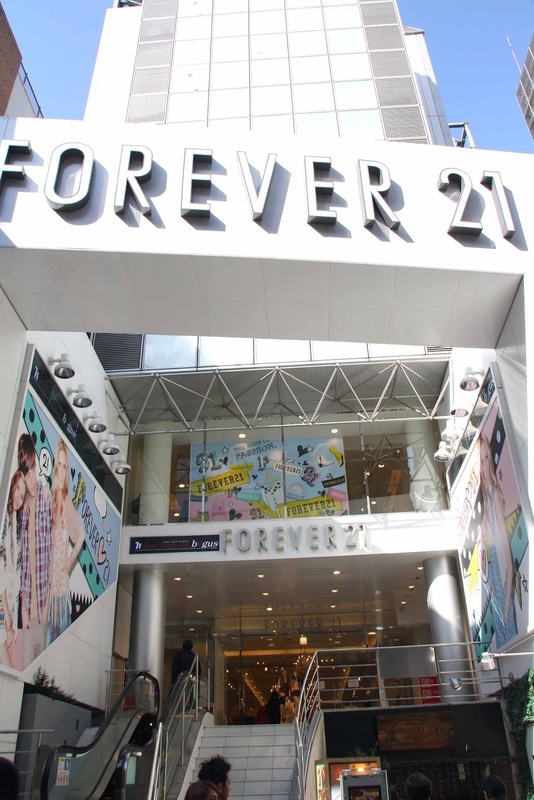 Some stores have several floors just like this. 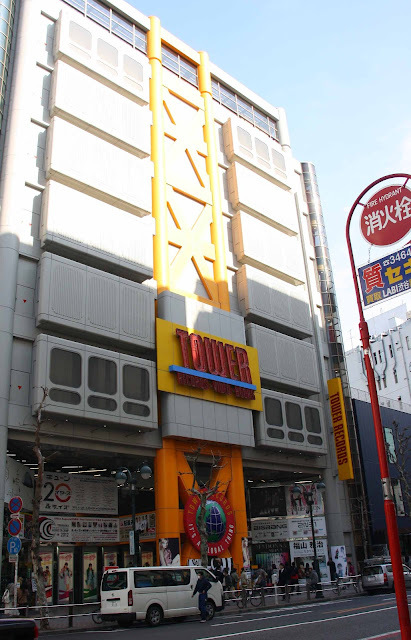 We talked to approximately 3-4 strangers before we found the Tower Records Building! 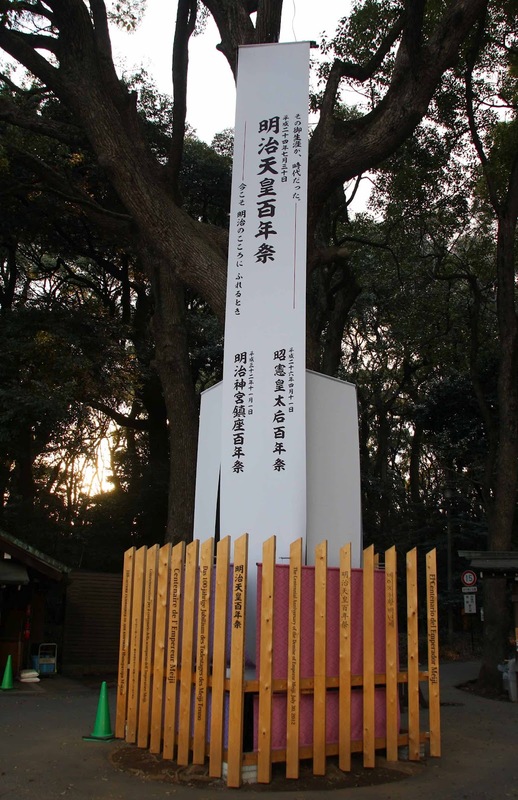 Base on reading and research, the original shrine was destroyed during World War II and the present one was re-established by people from all parts of Japan. A joint effort I believe! 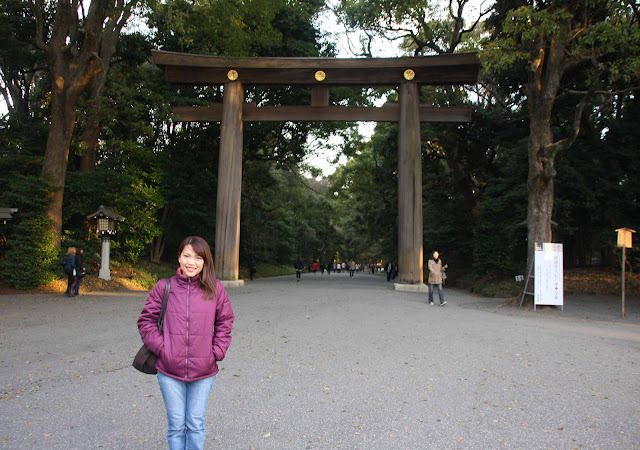 You can immediately see the view of Torii at the entrance. 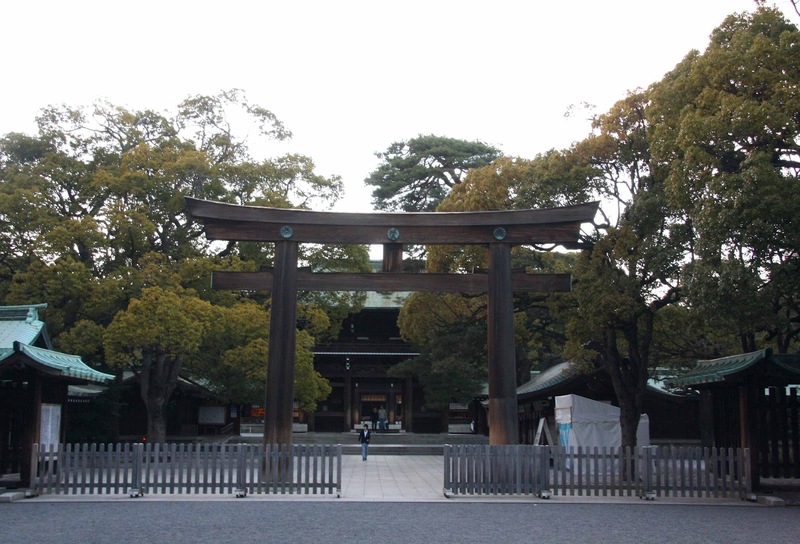 A Torii is a traditional Japanese gate used to identify Shinto Shrine. Bow once before you enter and bow another time before you leave. Since the area was too big, it took us until closing time to reach the shrine and we were told the area was closed. But just in case, here are some tips you may have to remember when you visit the Meiji Shrine. Rinse the dipper by allowing the remaining water to run down the handle of the dipper. You may put some coins into the offertory box. 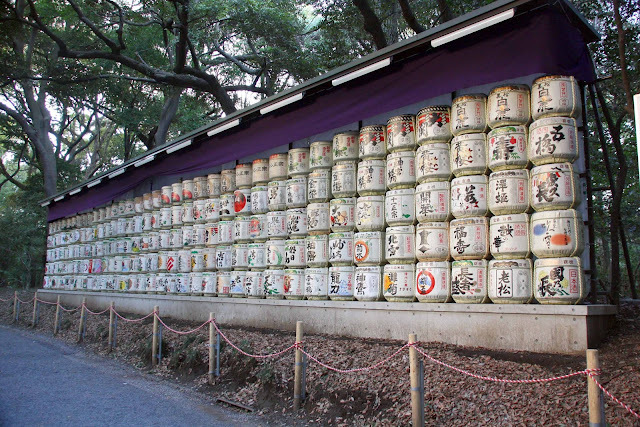 You may make a wish if you like. 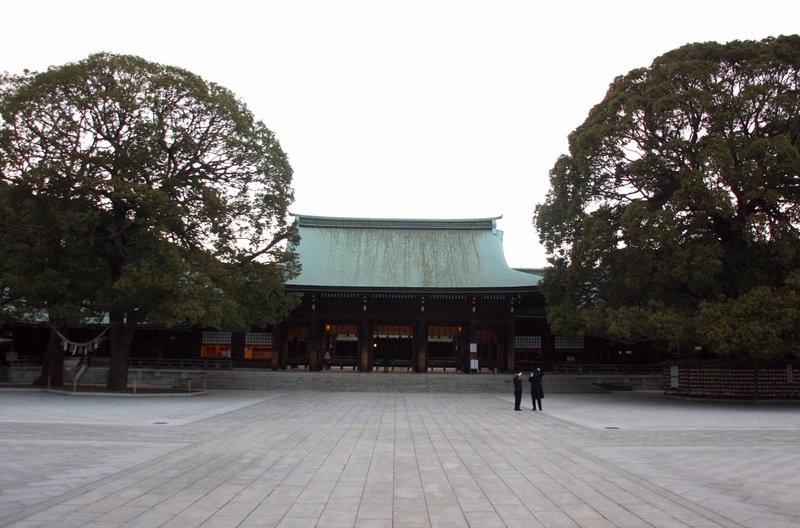 No taking of photos or videos close to the main shrine buildings. 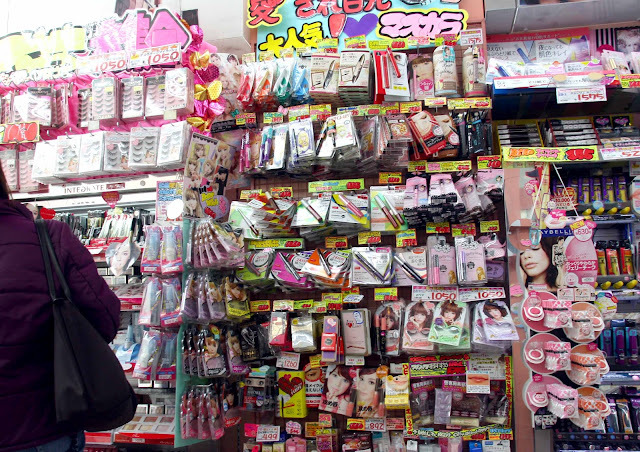 So much to see at Shibuya area and I haven't talked about Harajuko yet! I guess it's meant for another post! 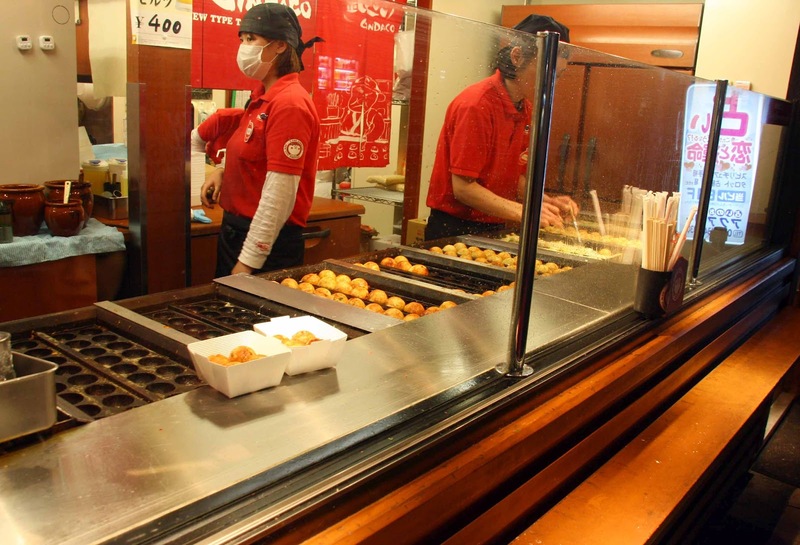 Before I end this, I'll share to you the first Takoyaki Balls I've tried. 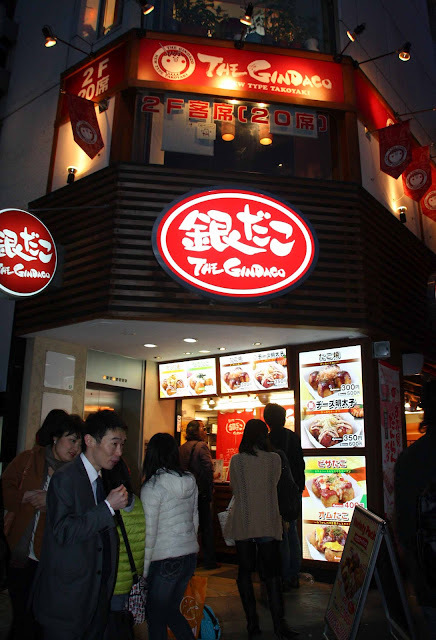 It was at The Gindaco, which is quite famous as lines were quite long and they have another branch near our hotel at Asakusa! Thank goodness we had a place to seat plus the view was nice! 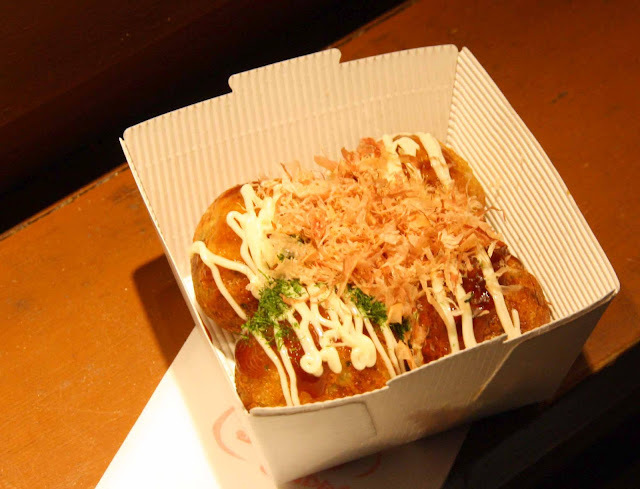 This was the best Takoyaki balls I've tried in my entire Takoyaki-eating life! The exterior is crunchy and you get to bite big sized Octopus! They came in different toppings of choice! We went for the regular version and loved it to bits! 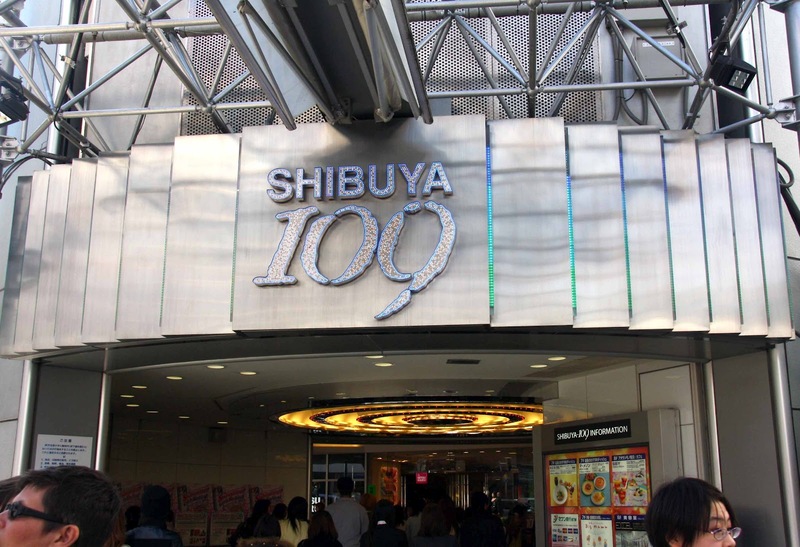 Have you visited Shibuya? 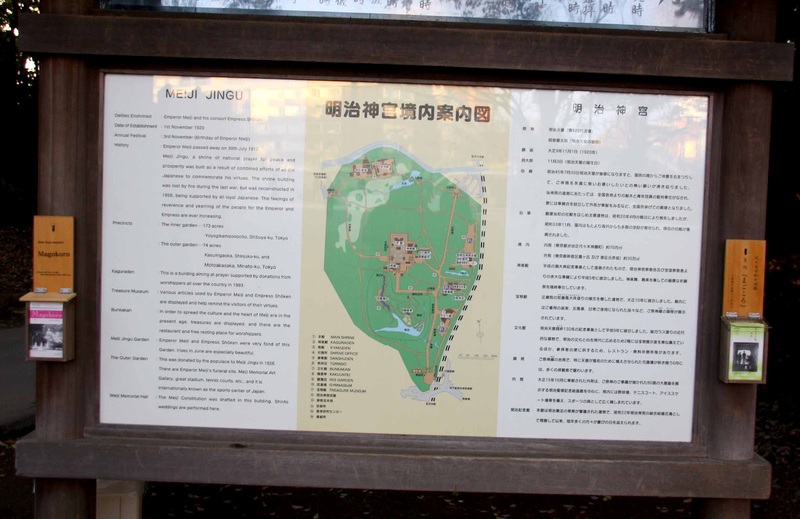 What's another must visit, must eat, must do here? looks like you and mr. amw enjoyed! hehe! super sarap ng food noh? i don't know but for me, their food really tastes different!!! Good quality talaga ang mga ingredients na ginamit! Food wise, wala kaming ma say! ang sarap!!!!! and so many choices!